Hi Minh and Dan! I love how DRAWN TOGETHER is such a perfect synergy of art and words. That's why I wanted to get both of your thoughts for this THINK QUICK interview. Minh: Double meaning. TRIPLE meaning or more if I can manage it. Dan: Double meaning. Puns sound cheap. Dan: Traditional. I like a tangible finished piece although I admit I'm a mostly a digital artist who is slowly reverting back to his traditional art roots. Minh: Is "both" an option? I loved visiting my grandparents but it also always left me feeling like I was inadequate... like I was failing to fully connect. Dan: Failure in the moment but fun when you reflect back on those moments. Minh: Close. Despite the language gap and sometimes physical distance, I still feel connected to my grandparents (even with those who have passed). Dan: Distant, unfortunately. My grandmother on my mother's side was the only grandparent I ever met because all the others had passed away. I only got to be with her a handful of years. Minh: Comfortable. Of course there are uncomfortable silences (which is a big part of our book), but as someone who is more of an introvert, I am also very comfortable with silence. Dan: Comfortable when you're supposed to be. The best comfort is when you can be silent and it feels right. Minh: Art. Which may seem odd since I'm the writer not the illustrator, but I prefer stories to take place mostly through the illustrations if possible (which is possible when you're lucky enough to work with the kind of artists that I have). Dan: Both. They are inseparable to me. Minh: Illustration. That's an easy one because as far as I'm concerned, illustration is the finest art. Dan:Illustration. The word, and the practice has a bad wrap for not being a legitimate form of art, while on the other hand I feel fine art can sometimes be guilty of being nothing disguised as importance. My favorite art happens to be from old pulp novel covers. Minh: Synergy. To create a successful picture book, I think it's critical for the collaboration to be based on trust and mutual respect (also critical: having a great editor who can manage that collaborative process). Dan: Synergy. It's like a relationship. You need to give a little, take a little, and be open to the other person's ideas. There's always a beautiful middle when both sides give it their best. You can't grow if you're not open to new ideas. Minh: Connecting. Finding a way to connect with a reader (that mysterious stranger waiting in the future) is the whole point of making books. Dan: Connecting if it is done right. If you're confusing the reader then you're message isn't clear. Minh: Bonding. Whether it's connecting with someone because you share a culture, or sharing your culture with someone outside that experience, it's definitely something to bond over. Dan:Should be bonding. To respect other cultures is definitely a bonding experience. I feel like things are separating between cultures, right now which is disheartening. We need to listen more and ESPECIALLY be more forgiving of one another. Drawn Together or Drawn Together? Minh: All of the above. "Right when I gave up on talking, My grandfather surprised me by revealing a world beyond words." The title alone made me want to read this book. It beautifully demonstrates how a grandfather and grandson learn to connect when they can't understand each other's words. 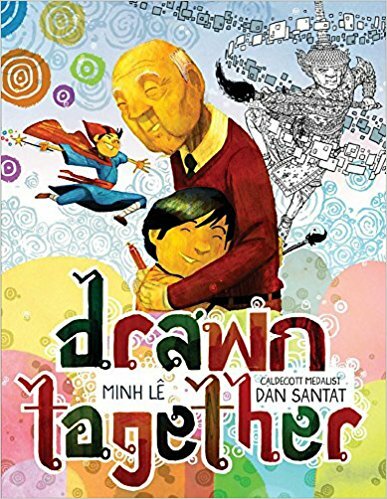 Dan Santat's stunning illustrations combine with Minh Le's sparse text to create an unforgettable story of love, tradition, culture and family. Somehow Dan manages to combine multiple styles of illustration seamlessly. And the idea of a child connecting with his grandfather through art is priceless. This is a story that will make you want to read and re-read in order to get all the nuances of the art and words. It will keep you thinking and evoke discussion about family traditions, relationships, art and story. Minh Lê is the author of Let Me Finish! 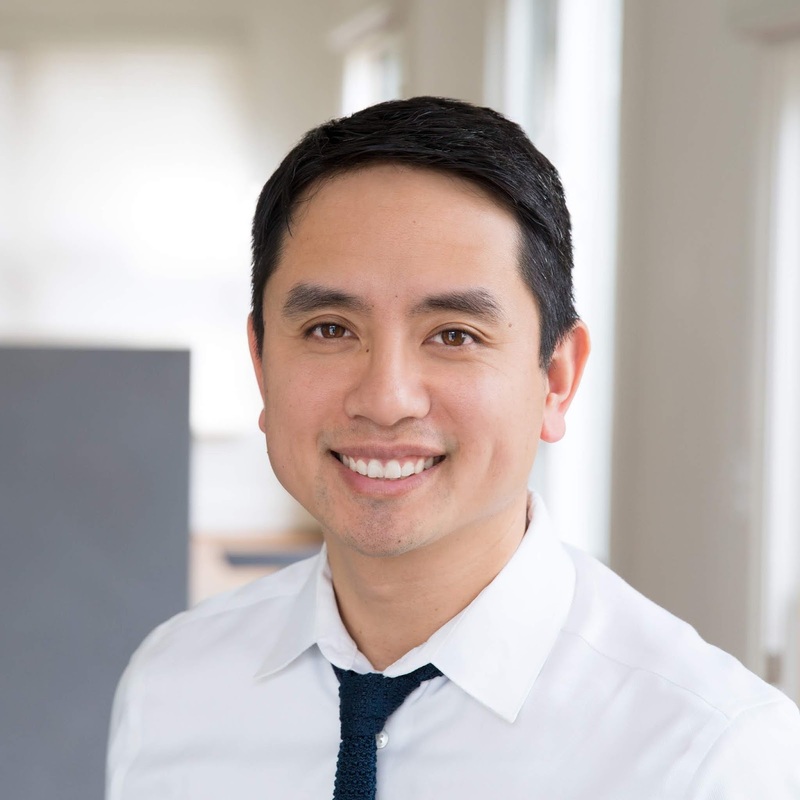 (an NPR Best Book of 2016) illustrated by Isabel Roxas and the upcoming Drawn Together illustrated by Caldecott medalist Dan Santat, both published by Disney-Hyperion. He is also writing Green Lantern: Legacy, a graphic novel for the new DC Comics middle grade imprint, DC Zoom. A member of the kidlit consortium The Niblings, Minh has written for a number of national publications, including the New York Times, HuffPost, and the Horn Book. 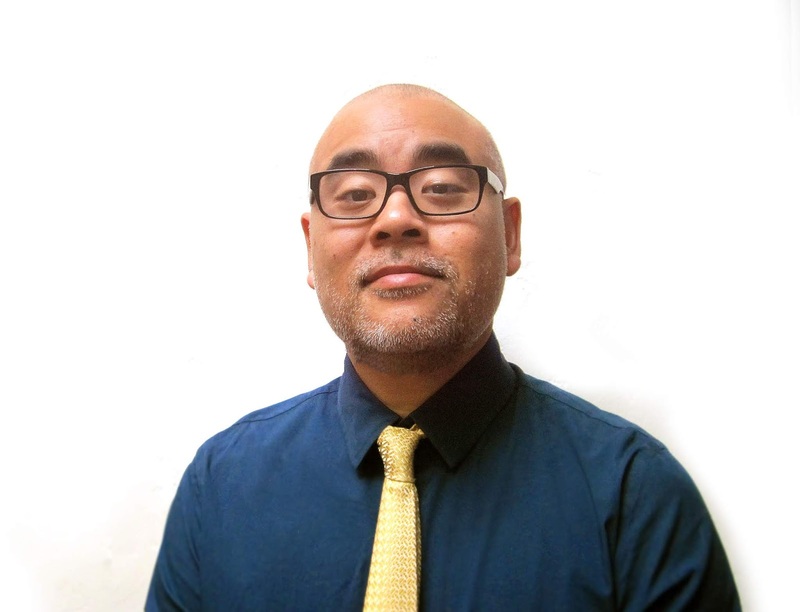 He is currently serving as a judge for the 2018 Boston Globe-Horn Book Awards. Outside of spending time with his beautiful wife and sons, his favorite place to be is in the middle of a good book. That cover has distilled the essence of the book. Illustration is the finest art! Can't wait to read this one! Mesmerized by the cover. I can't wait to read this book. My grandmother is with me in daily thought-she's my hero. I loved this interview and my grandparents! Can’t wait to read this one. Great interview! It feels like I've read this book...or maybe something about it. Can't wait to really read it!